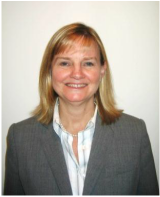 Ms. Elaine Killoran is a Consultant at Command Group. Ms. Killoran brings over thirty years of experience serving in critical resource management leadership positions at key U.S. Homeland Security agencies. Ms. Killoran most recently served as Deputy Assistant Commissioner and Deputy Chief Financial Officer for the Office of Administration, U.S. Customs and Border Protection (CBP) in the U.S. Department of Homeland Security (DHS). In this position, she was responsible for the successful planning and execution of CBP resources totaling approximately $12 billion annually and a workforce of 58,000 employees. Ms. Killoran supported the CBP mission by overseeing budget, financial, procurement, acquisition, facilities, and investment analysis activities. Prior to being named Deputy Assistant Commissioner, Ms. Killoran served as the Executive Director of Budget for CBP responsible for the planning, formulation, and execution of the CBP budget. After the 9/11 attacks, Ms. Killoran worked as a senior leader for the Transition Management Office, created to support the new CBP organization within DHS. In this capacity, Ms. Killoran was instrumental in coordinating the allocation of mission support and acquisition resources across CBP, Immigration and Customs Enforcement (ICE), and Citizenship and Immigration Services (CIS). Prior to joining CBP in 1996, Ms. Killoran held positions in the resource management arena for several agencies. She was the Budget Director for the Information Technology Service at the General Services Administration and led the budget and logistical activities for the 1990 Decennial Census of the U.S. Census Bureau. Ms. Killoran has also served as budget analyst for the U.S. Secretary of Commerce and the National Telecommunications and Information Administration, providing budget advice and recommendations to executive leadership within the department. Ms. Killoran received her Master of Business Administration (MBA) from the Wharton School, University of Pennsylvania and a Bachelor of Arts degree in Psychology from Gettysburg College. She is also a graduate of the Customs Leadership Institute. Ms. Killoran is a recipient of the CBP Commissioner’s Award and the Presidential Rank Award for Meritorious Executive Service.